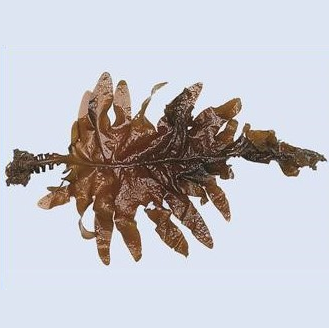 Wakame is a brown kelp native to the NW Pacific. It is very fast growing with fronds reaching 1-3m, the blade has a distinct midrib and, when reproductive the stipe has a characteristic frill. 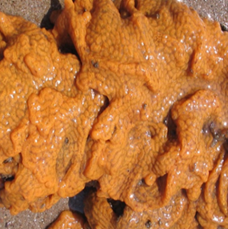 U. pinnatifida is tolerant of a wide range of temperatures and salinities and grows well in estuarine conditions. It is particularly prevalent along the S coast of England. 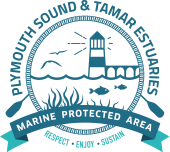 It is abundant in most Plymouth marinas and has been identified as a risk to the ecological status of the Natura 2000 site being well established along intertidal and subtidal rocky substrata throughout Plymouth Sound. 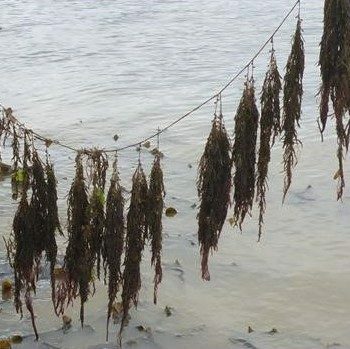 It competes for space with native kelp species and may be a nuisance fouling jetties, vessels, moorings and buoys; it has the potential to impact on aquaculture through fouling. Heavy infestations may also clog machinery and restrict water circulation. More information can be found on the Wakame Watch website.